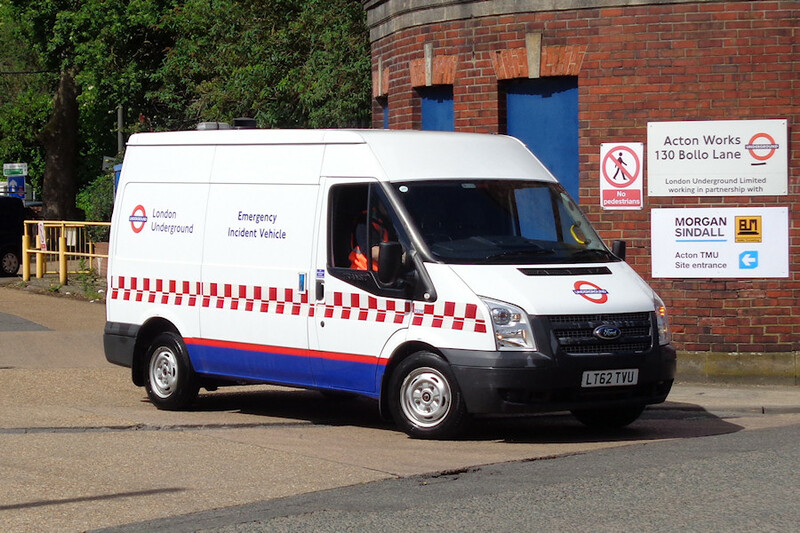 Details: Ford Transit van 7529F has 'emergency' livery for its role as an Escalator Services Emergency Incident Vehicle. It can usually be seen resting in its own private shed at the south end of Frank Pick House in Acton (just by the north end of the lorry yard), but Ray managed to catch it on the move on 10th May 2018, leaving Acton Works. This van carried Tube Lines livery when new. The Morgan Sindall sign on the wall behind is new.